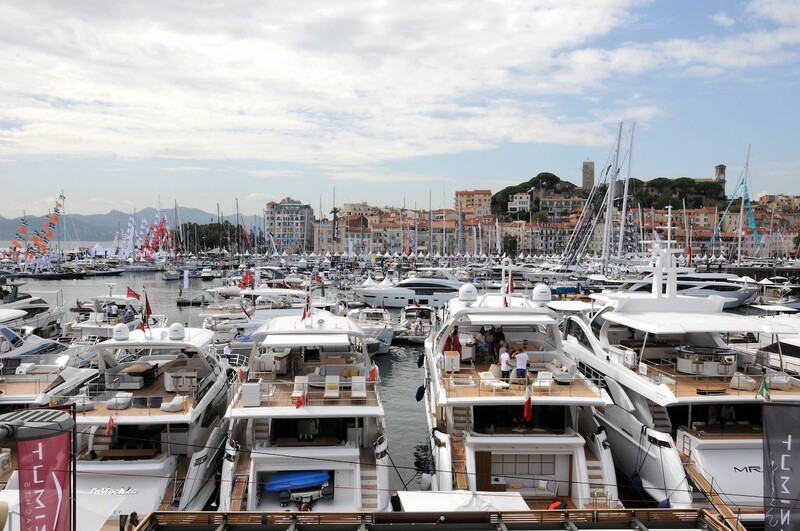 Cannes Yachting Festival took the French Riviera city by storm last month, when from the 11th-16th September its ports were taken over by an array of beautiful yachts and marine exhibitors. One such attendee was blue water cruiser builder Oyster Yachts, there to boost its international presence and to interact with worldwide prospects. 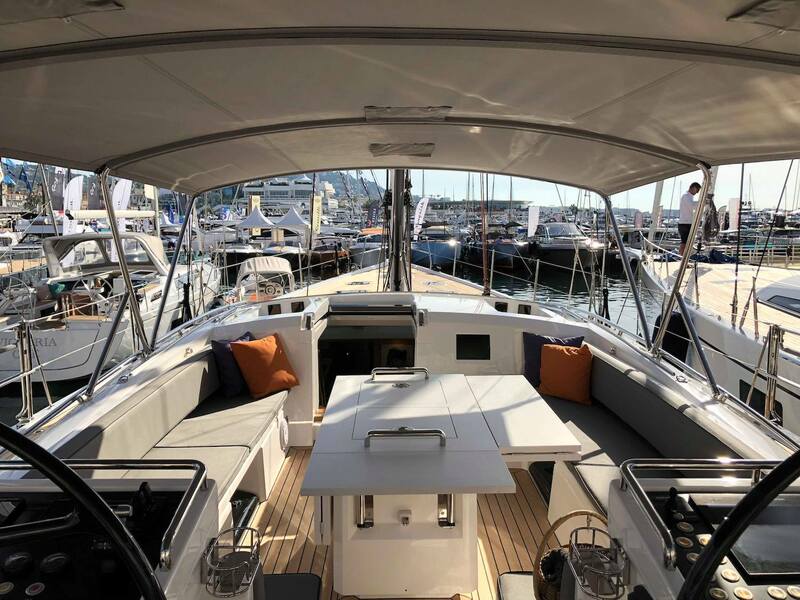 We caught up with company Sales Director Stephen Parkinson to find out all about Oyster’s Cannes Yacht Show 2018 experience and discover what makes Oyster yachts unique. 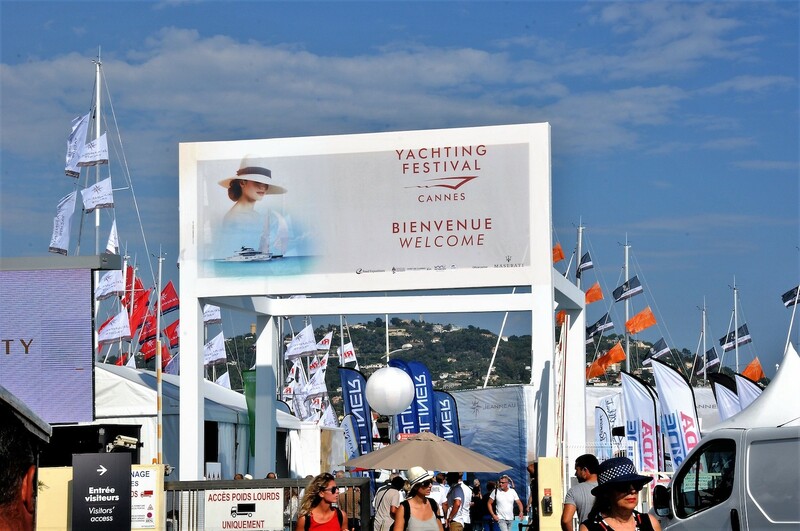 How have you found Cannes Yachting Festival this year? Cannes is always very important for us. And the reason for that is a lot of international visitors come to the show. So already over the last two days of Cannes Yachting Festival 2018 we’ve had people from Australia, Jordan, Switzerland, Turkey, Greece; it really attracts quite a wide range of visitors, which is fantastic. So, it’s always a good show, and we’ve been visiting for a good few years now. It’s, I believe, one of the biggest in water shows in the world. So, it’s important for us to be here. I think the plan for Oyster at Cannes in the future is to just grow what we do here. We’ll probably have a much bigger presence next year. We’re all very excited about the future for Oyster and love the fact that we’ve got someone like Richard Hadida (Oyster CEO) on board to take the company forward – we’re all behind him. Everybody that works for the company is genuinely passionate about the brand. We actually believe the mission statement. I really do I think these boats are the best blue water boats in the world, you know. So, I’m sure we’ll see Oyster’s presence here growing in leaps and bounds. And when you say you’ve had an international clientele come through, are these people who know the brand already or are they coming across Oyster for the first time? It’s a mixture, because in the lead up to Cannes Yacht Show 2018 we sent out invites to all prospects on our database. This year we have been lucky to present a newly built Oyster 745, our 75ft yacht Pitanga. When a yacht comes out the factory or is in commissioning it’s sort of in its base state, so it’s a good opportunity for potential owners to see what we can do. Our aim was to get a mixture of people that we know who are genuinely interested in the boat that we could meet and show around the vessel. But of course, it’s also important for us to get new clients, so it’s equally as important to get new people that we don’t know on to the boats and into the brand. Can you tell me a bit more about the Pitanga yacht you had on display at Cannes? Well as I said this is the model 745, she’s hull number 4 and is about a year old. This is really the smallest yacht that Oyster offers that allows you to have true crew separation. As we go down below, forward of the galley, you go into the crew cabin. This boat allows you to completely close off that galley area, so that the crew have their privacy while they’re cooking and the owners have their privacy when they’re in the saloon watching TV or whatever else they’re doing. In this configuration, it has four cabins, so one owner and three guest, and one crew cabin. And the design is proving to be a success – we’ve just got another of this model sold, and so we will start build on that towards the end of the year. What’s unique about Oyster’s yacht design? Oyster’s pretty unique in that the amount of light that we get into our yachts. A lot of boats can be quite dark as you come down, whereas these big windows are fantastic for letting light in. These two outer ones open up so the breeze can come in and you don’t have to have air conditioning running the whole time. Then when you come through to the owner’s cabin it’s the same: you don’t want to be somewhere where you feel like it’s dark and dingy, so we’ve put in three of our large seascape windows, which are a design unique to us. This came out of listening to what our clients want from our vessels. Our yachts are also designed to be fully-functional open water cruisers, which will take you anywhere, whilst still being very luxurious and comfortable inside. I think this is what makes Oysters really stand out amongst the rest. 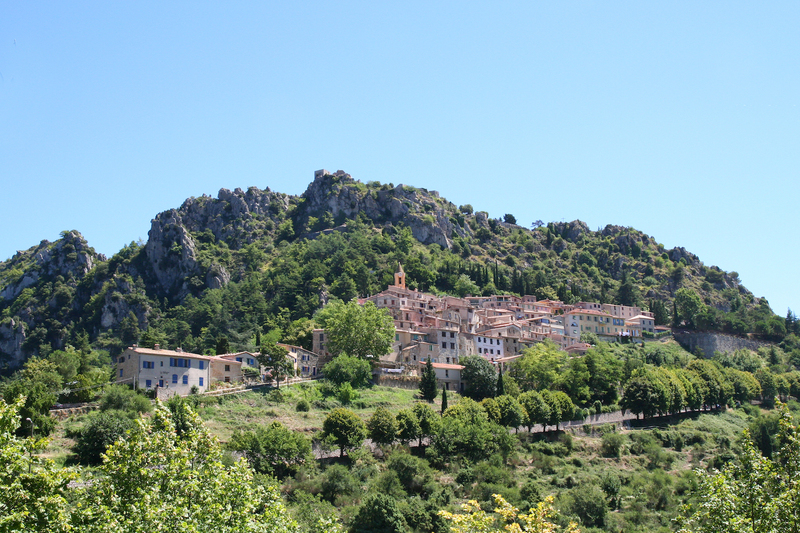 What next after Cannes Yachting Festival – any exciting plans for the next few months? There are always lots of exciting things happening within Oyster, and after Cannes Yacht Show 2018 we have our series of Regattas starting with Palma in October and Antigua next year. These are both big events for us as Richard very keen to get more people to these events and bring back more of a family feel to them. So he wants the kids there, he wants everyone to make it a family event, and that will be exciting. He’s going to do a good job of that, being a family man himself. Traditionally Oyster has always been a family-friendly brand. Then there’s other things happening within the business, such as looking at a new model, a smaller model, potentially between 45 and 50ft, which is still on the drawing boards with Humphreys Yacht Design. We also have our new Marketing Director Abigail Comber joining us in November, so we’ve got a really exciting time coming up. Of course as well as all this, we have the current Oyster World Rally underway, due to finish next year, and have already started planning for the next one in 2021. 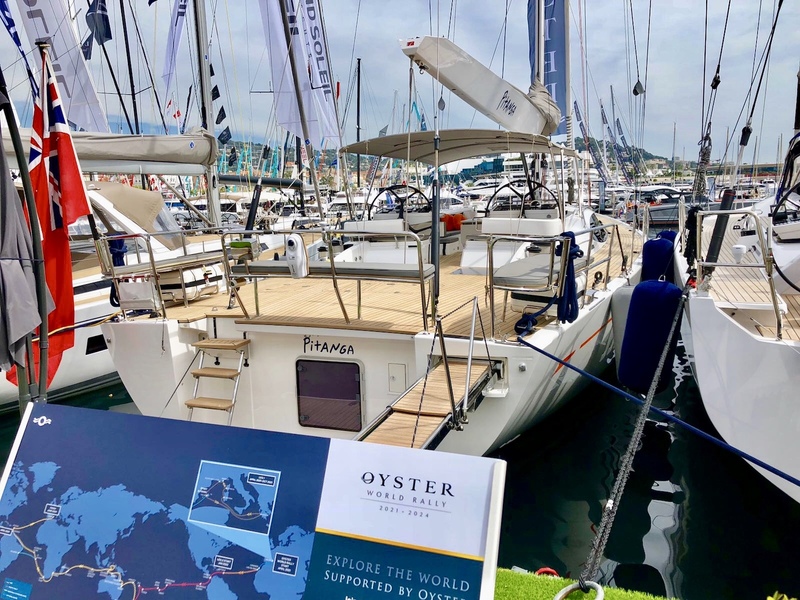 As a rally fully organised and supported by Oyster this is a completely unique event – there’s no other yacht manufacturer that does it or potentially could even do it. We have a whole team set up to support these yachts as they travel around the world. We also have Oyster staff out travelling round with the rally fleet, showing the true meaning and strength of the Oyster Family. Bespoke Yacht Charter has impacted the yacht charter market in Cannes, changing the way brands interact with clients at festivals and events. OnboardOnline caught up with Rachel Coles, Charter Broker from Bespoke Yacht Charter, to delve deep into how they’ve ascended to the niche position for Cannes event yacht charters. The Principality of Monaco has long attracted those with a penchant for sporting excitement, hosting an action-packed sporting calendar that boasts illustrious events of historic prestige. 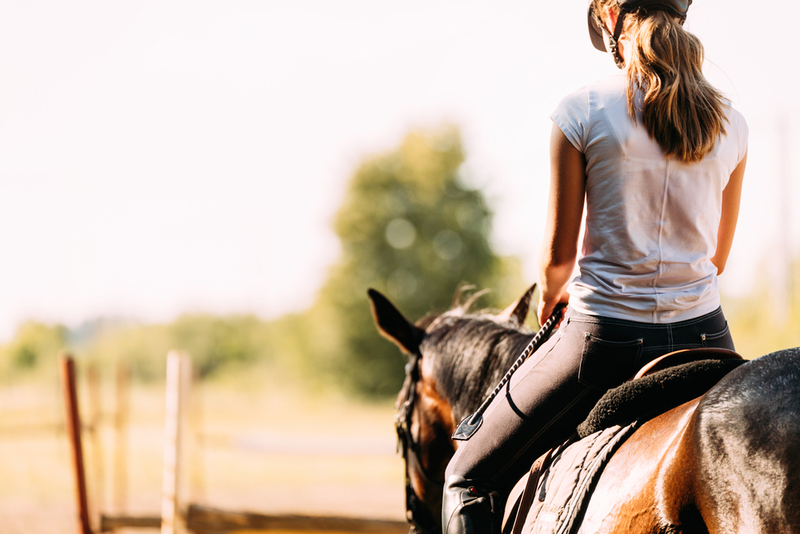 From F1 racing drivers to internationally acclaimed tennis stars, many sporting greats choose to live and train in Monaco and are attracted by the prospect of a Mediterranean lifestyle and a spectacular sporting infrastructure. It seems that the glamour of the region is fuelled by its sporting activity. 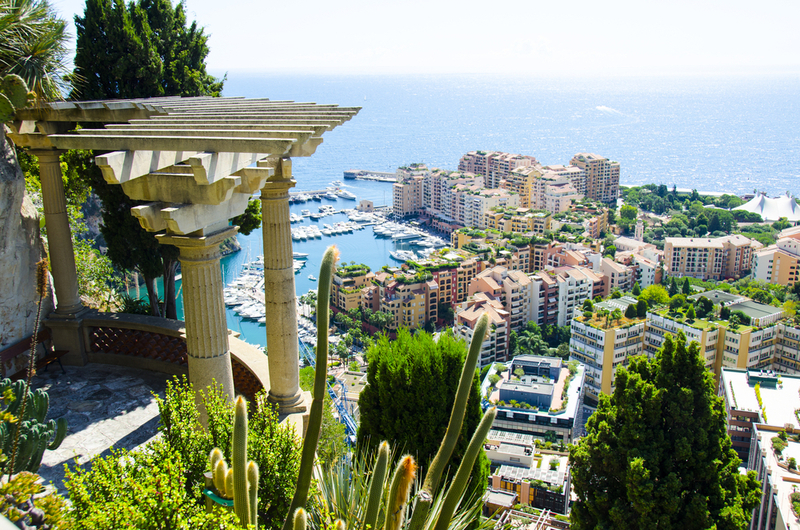 We spoke to Laurent Locchi – a Property Negotiator at Miells & Partners, a sports enthusiast, and a resident of Monaco – to find out which sporting events are most eagerly anticipated in the Principality. With such a glitzy name, the Rolex Masters is one sporting event that is right at home amidst the renowned glamour of Monaco. Having celebrated its 100th birthday back in 2006, the Rolex Monte-Carlo Masters is the first of three ATP World Tour Masters that is held on clay courts. It is a renowned favourite of both fans and players alike. Taking place at the Monte-Carlo Country Club, the event welcomes many champions from across the world – most notably Rafael Nadal, the winner of a record eight successive titles. Officially dubbed the ‘Rallye Automobile Monte Carlo’ but commonly referred to as the Monte Carlo Rally, this high-octane race is an annual event that is organised by the Automobile Club de Monaco. The rally leaves Monaco’s iconic casino each January, before snaking through the Alps and culminating in the Principality’s Port Hercules. Devised by Prince Albert I back in 1911, the event has long been a means of demonstrating the grandeur and innovation of the automobile world. Commonly known as AS Monaco, this Monegasque football club is one of the most well-known in the world. Founded in 1924, the club competes in the equivalent of the UK’s premiership – Ligue 1 in France. The club’s home is in the Stade Louis II in Fontvieille, Monaco – a standout stadium that’s certainly worth a visit. Each week, the Principality of Monaco attracts football enthusiasts from across France, each of whom leaves with widened eyes and a satiating dose of sporting fun. One of the most successful clubs in France (it competes in the French league even though it is based in the Principality), the team has won eight league titles in its time, plus five Coupe de France trophies. 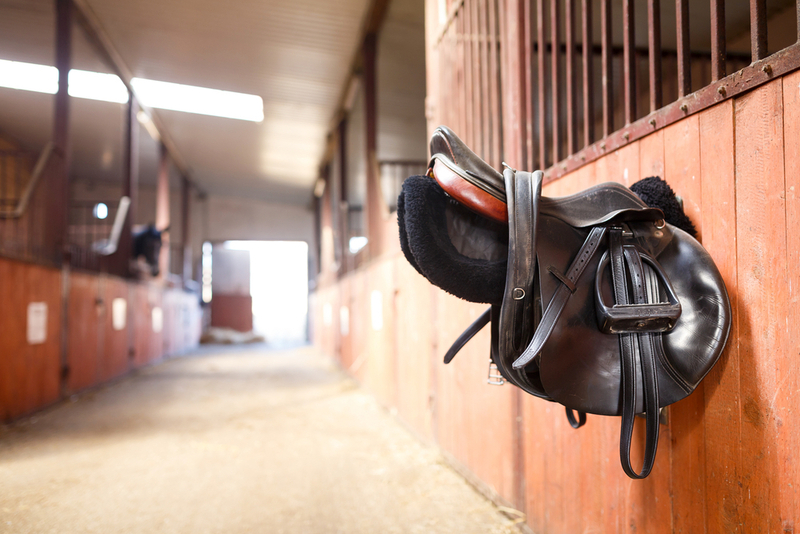 Home to one of the most difficult show jumping courses in the world, this international equestrian event has long attracted the world’s top-ranking riders. Occupying the pride of place in Monaco’s Port Hercules, the arena is set in a scenic spot and makes for a memorable experience. The defining feature of the unique course is that it is very short, extremely narrow, and filled with all sorts of tricky twists and turns. 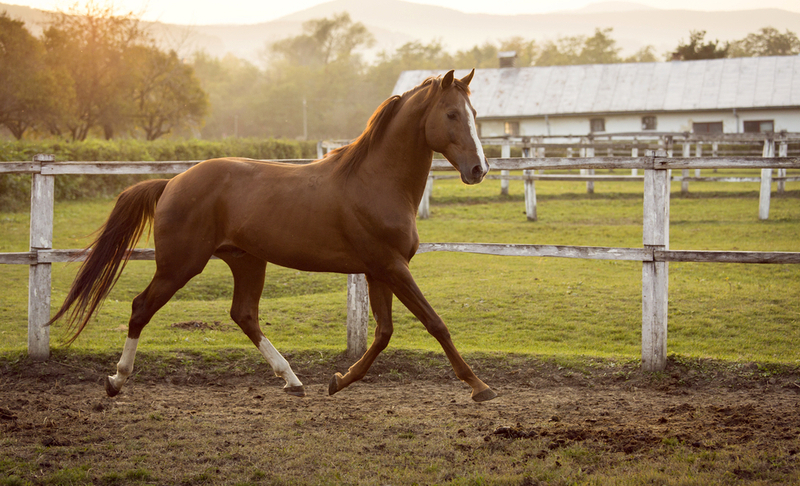 All riders must possess a high level of agility and technique to succeed, not to mention a high level of skill from the horse itself. Last but far from least is the famous Monaco Grand Prix – the most intriguing, prestigious and challenging course for the majority of racing drivers. But what is required to win? Well, precision driving, technical excellence, and a large dose of bravery are all said to be requirements of any driver attempting this difficult course. Experts say that the Monaco circuit leaves no margin for error, more so than any other Formula One track in the circuit. Look out for the Tunnel Larvotto – one of the few straight sections of the track and arguably the most iconic sights in Formula One racing. Monaco has been a regular fixture of the Grand Prix circuit since 1955, with very few changes made to the circuit over the years.